North Korea has continued to produce bomb fuel while in denuclearization talks with the United States and may have produced enough in the past year to add as many as seven nuclear weapons to its arsenal, according to a study released just weeks before a planned second summit between the North Korean leader and President Donald Trump. 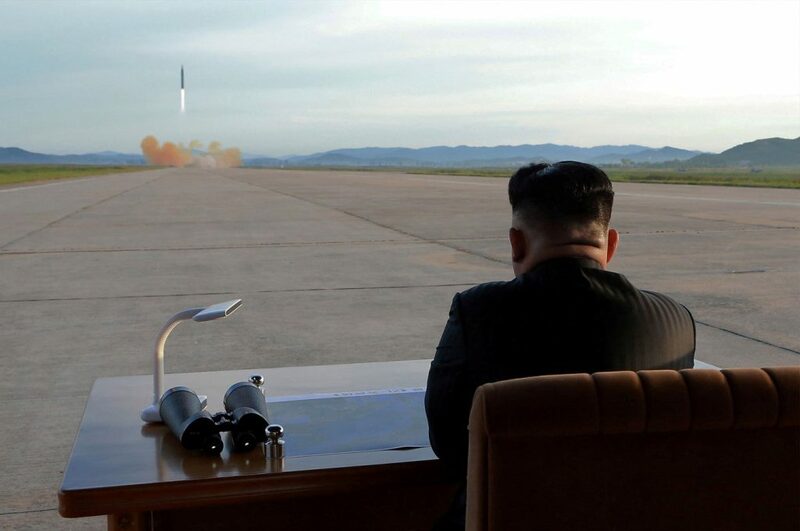 Siegfried Hecker, a former director of the U.S. Los Alamos weapons laboratory in New Mexico who is now at Stanford and was one of the report’s authors, told Reuters analysis of satellite imagery showed North Korea‘s production of bomb fuel continued in 2018. This, combined with production of perhaps 150 kg of highly enriched uranium, may have allowed North Korea to increase the number of weapons in its arsenal by between five and seven, the Stanford report said. Hecker’s team had estimated the size of North Korea‘s arsenal in 2017 at 30, bringing a possible current total of 37 weapons. U.S. intelligence is not certain how many nuclear warheads North Korea has. Last year, the Defense Intelligence Agency was at the high end with an estimate of about 50 nuclear warheads, while analysts have given a range of 20-60. “They have continued the machinery to turn out plutonium and highly enriched uranium,” Hecker said, “but it also depends on weaponization – the design, build and test, and then the delivery. Secretary of State Mike Pompeo told Congress in July that North Korea was continuing to produce fuel for nuclear bombs in spite of its pledge to denuclearize, even as he argued – as he has continued to do – that the Trump administration was making progress in talks with Pyongyang. There has been little concrete progress since, but in September, Kim expressed willingness to take steps, including the permanent dismantling of nuclear facilities at Yongbyon, in return for “corresponding measures” by the United States. U.S. Special Representative for North Korea Stephen Biegun held three days of talks in Pyongyang last week to prepare for a second Trump-Kim summit due to be held in Hanoi on Feb. 27 and 28. He said before the talks that they would include discussion of corresponding steps North Korea has demanded.